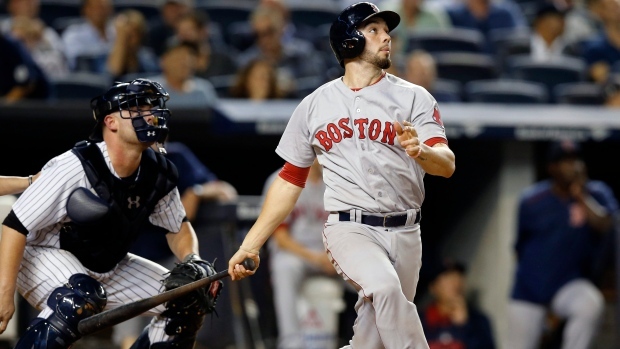 Instead, the Red Sox designated catcher/utility man Blake Swihart for assignment on Tuesday before taking on the Yankees in The Bronx, WEEI first reported. Leon is in NY with the team and will catch Chris Sale in Tuesday night's series opener against the Yankees. The Red Sox carried three catchers for the entire 2018 season but decided they would keep just two for this season. The Red Sox experimented with him at corner-outfield and infield positions when not serving as the backup catcher. Swihart played in 12 games for the 6-11 Red Sox, going 6-for-12 at the plate with a double and homer, slashing.231/.318/.385. He hasn't collected a single hit in the last seven games (0-for-14 overall). Swihart likely won't clear waivers, so he is effectively gone, as pointed out by Red Sox beat reporter Evan Drellich, who was first to report the Swihart news Tuesday.